There isn't much to say about this series. Anyone can pretty much know everything about these special episodes by just seeing the cover art. Since no one wrote any review, I wanted to give it a try. It's some special episodes of the Black Lagoon series which is totally different from main series. It's about comedy & not about action. Main characters of the series are put into many awkward & funny situations resulting in a good comedy. It's really funny to see the toughness of the characters gone & they are acting funny & doing childish things. The artwork & the comedy is spectacularly done. You will definitely like it if you have seen the main series or like comedy. If you expect this to be as the first three seasons of Black Lagoon you're wrong. The Omake are just separated stories which have nothing to do with the original story. This serie is basically a comedy where each one of the stories is in a different world. You will probably like this if you like to see the original characters in situations that differ from the original story because that is all it is. I guess the biggest problem of the show is that some characters just do not behave like you would think they do 'cause of their behavior in the main-series. It's not completely different, but still: there are some notable differences. 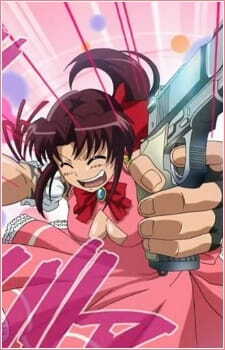 For example, Revy is way to kind. But besides that: Some episodes where realy funny, others where more like ,,Meh". Just go and watch it. We are talking about around 2 Minutes long shorts, you can watch the whole series in like 14-20 minutes or something like that. And it pays. If you still not sure if you should watch it: This anime has ponchos.